A midlands town with a population of less than 10,000 people has become a major hub for organised criminality. 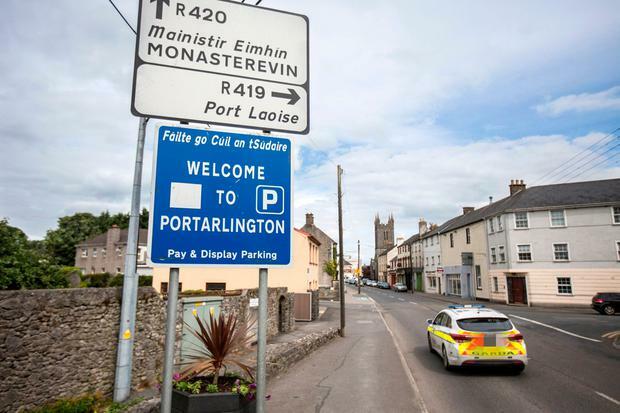 Specialist undercover gardaí have been working in Portarlington, Co Laois, for more than six months and a number of major operations are planned to target the dangerous gangs. It's understood major Dublin gangsters and vicious Traveller criminals use its "handy" geographical location for drugs trafficking networks. Gangsters with links to the notorious Kinahan cartel are living in the area. There are also Dublin gangsters forging alliances with Traveller gangs and Limerick criminals. "The situation in this town is bordering on being out of control. On one hand, you have a number of Dublin gangsters with links to the Kinahan cartel and other Crumlin-based crime gangs living in the location," a senior source said. "Then you also have a number of Traveller criminals living there, many of whom are part of an organised crime network whose primary base is in Limerick city. Some of these individuals are connected to an organised serial burglar whose gang were brazen enough to shoot at a Garda detective in Co Kildare last November. "Intelligence indicates that these gangs are also doing business with each other and are intertwined with each other." 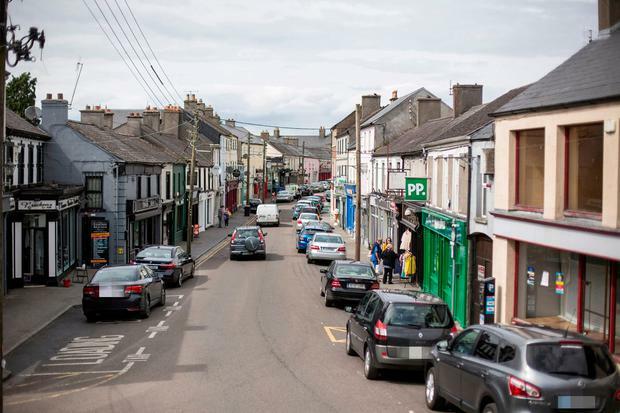 When asked why such a small town has become a central hub in Ireland's organised crime network, it was said Portarlington was a "victim of geography". "Look, it has very easy motorway access which makes it highly attractive to get to and from for criminals from both Dublin and Limerick. "It is obviously close to both the big prisons in Portlaoise which makes it a handy spot for dozens of individuals who visit their family, friends and associates who are locked up in both jails on a very regular basis," the senior source explained. Gardaí have been aware of the situation for months now and busts have already began against targeted criminals. This includes a €47,000 seizure earlier this month from a Limerick gang who are aligned to one of the dangerous Dublin mobs. Two men from the Limerick gang were released without charge on that occasion after the seizure in a shed on June 6 last. Details of the seizure were released by gardaí, who said that a file on the matter will now be prepared for the DPP. "Cannabis herb with an estimated street value of €47,000 has been seized and two men have been arrested during operations in Co Laois. "As part of ongoing investigations targeting the sale and distribution of drugs in the midlands, an operation was carried out in Portarlington by gardaí attached to Laois/Offaly Divisional Drugs Unit, supported by local detectives and members of the Armed Support Unit." However, there have been even more serious incidents to occur in the midlands town in recent months. In February, a 32-year-old Dublin criminal who survived a previous gun murder attempt was one of four criminals arrested in relation to a savage stab attack in which the male victim was stabbed in the top of his head, sliced in the face and was also knifed in the buttocks. The shocking 8am incident unfolded at an apartment at French Church Street in Portarlington, Co Laois. It has emerged that gardaí became aware of the incident when the man called emergency services from a nearby garage after fleeing the apartment. The three arrested men and one woman have been released without charge and a detailed file is being prepared for the DPP.